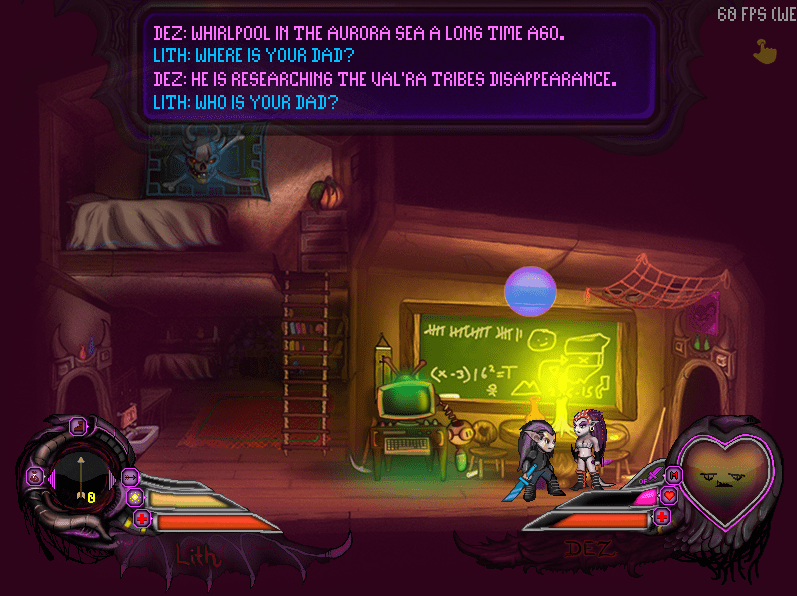 Review Fix chats with Game Developer Daniel Gill, who discusses his new 2D sidescroller, Luna. Currently in production and looking to garner funds on Kickstarter, the game is a blend of action and adventure with fantastic art, old-school gameplay mechanics and a host of surprises. Review Fix: It takes a special person to make video games- how did you get drawn to this profession? Daniel Gill: When I was in my early-teens I became friends with a kid named Leo. He was pretty good at programming and I was pretty good at art. We teamed up after school and made indie games together in Qbasic. 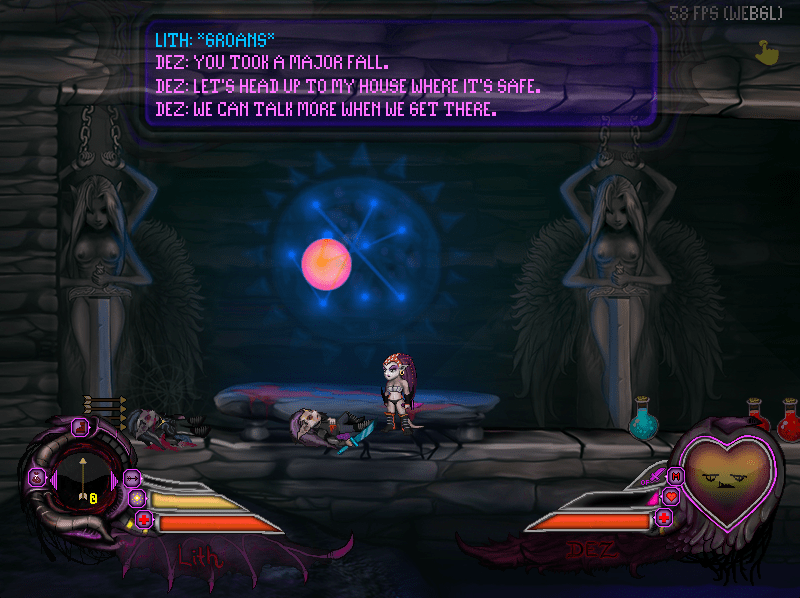 Our first game was a 2 player platform game called Oversoul. The object of the game was to battle each other on a large map. I would provide the art and watch anxiously over his shoulder as he coded the game. Through this process I learned to code. I started picking up the basics of how it all worked and what I didn’t get he taught me. From there I really took off by diving into any book I could get my hands on. My first finished game was called Vetronex and I think it is still up on qbasic.com somewhere. I have been drawing traditional art my whole life but I have also spent a lot of time designing Retro 2D games. I code professionally by day and I have a good foundation in pixel and digital art. I am really comfortable in Photoshop. My love for art and code are really what keep me going. Gill: The game itself started as a tiny idea. An idea of a person so extremely destroyed inside and lost physically that all hope seems lost at finding purpose. Through the support of another ‘reject’ the protagonist is given a second chance and is able to go on to find purpose. I wanted to make the whole world underground, hand draw everything without tile sets, and use vivid shades of blues and pinks. I wanted to do something totally unique and profound. I wanted to take the most extreme themes like love, lust, annihilation, survival, being desperately lost, and metamorphosis. Then add in elements like vivid and risky color palettes, beautiful music, and extreme action-and-adventure. I really wanted toexaggerate the drama. The idea was to take these elements, throw them in a blender, and see what would happen. The end result is Luna. Review Fix: What games do you enjoy playing when you’re not creating? Gill: Any and all things “Hironobu Sakaguchi.” I really like his recent efforts with Blue Dragon and Lost Odyssey. I have also followed Joe Madureira’s work very closely as well. I love what he has done with Darksiders and I am a big fan of his earlier work on Battle Chasers. Up until about 2 years ago I was really into Final Fantasy 11. I think they did an amazing job on that game. It was more challenging than other MMO’s but the rewards for hard work were more satisfying. I also play as many indie titles as I can get my hands on. I am currently playing Machinarium, Steam Marines, and Limbo. They’re all great. One thing that draws me to indie games is that they have so much character. They are more personal works since a lot of the times it’s a very small team working on them. Some of the bigger studios succeed at this too when they have a good art director. Gill: For me the development process is all over the place. I draw the assets, code the game, and debug it all by myself. I also work a day job. So for me I have to be dedicated and flexible. Most of the time I work on it at night when there is little outside distraction. Needless to say I don’t get very much sleep. I work on it almost every day. I have improvised a crazy contraption of LCD’s on swing arms, wireless keyboards, and different drawing apparatuses so I can be working on the game while I spend time with my family in my easy chair. Some nights I’ll be watching ‘The Walking Dead’ with my wife while I blast off code during commercials or boring parts, and other nights I will resort to my headphones to drown out the world. I have fallen asleep in my chair many times. Review Fix: What did you play as a kid and how do you think it influenced this game? Gill: I have always really enjoyed Japanese role playing games. Early JRPGs tended to be designed with an emphasis on aesthetic beauty and emersion. I really try to follow in their footsteps while adding my own flair to it. Early JRPGs weren’t afraid of being overly cute aesthetically while at the same time throwing a gritty and heart wrenching story at you. I think the simple art amplifies the power of the story. In the study of art there is something called “the uncanny valley.” This is when something tries to be real but isn’t and it ends up just looking weird. Often times the viewer might reject it wholly. This is something Indies operating in the 2D realm need to be aware of and perhaps use to their advantage. Pixar Studios are masters at this. They use but don’t abuse their abilities. Define your theme and then push the boundaries. On PC I really enjoyed playing XCOM, Double Dragon, and Wing Commander. I think I mowed about 40 lawns to buy my first SNES. My first game was Super R-Type. That is still one of my favorite games to this day. I absolutely love everything about it. It was perfect. The sounds, the graphics, the attention to detail, and the MOOD. This game had such a great atmosphere. I also fell in love with Ys III: Wanderers from Ys. I think that game had one of the coolest soundtracks. I also loved the obvious games like Final Fantasy, Secret of Mana, and Chrono Trigger. The list really goes on forever. The ones mentioned here influenced me in a big way. Gill: There is a moment in Luna when you discover your past and it will drive you to want to change the future. It really is a profound moment. That’s my favorite part or the game. Review Fix: Tell us about the Kickstarter for the game, what do backers have to gain by supporting you? Gill: Anyone who backs the project at any amount gets access to the Beta once we are successfully funded Feb 1. $10 dollars gets you the game once I complete it. Getting into the Kickstarter will give you early access to the Beta. I really appreciate the $1 dollar backers because it helps so much with velocity and exposure. I am really excited about the reception of the Kickstarter so far. I am a one-man team so I am not able to promote it full time, but the reception has been flattering to say the least. When I set out on Kickstarter and saw my first backer it was the happiest moment just to know someone liked what I was doing. As of the time of writing this my project has not yet been ‘featured’ on Kickstarter so I am having to drive a lot of traffic there myself which is challenging. I am learning a lot about Indie PR through this process. The whole process is pure excitement. I have a whole range of incentivized packages like a digital soundtrack and future episodes at $25, downloadable versions of all three episodes at $75. I have a signed physical soundtrack at $100. I have a package for a Gillis T-shirt and I even have one package that includes arrowheads that I have made. I think the main reason to back this project is to give it a kick in the pants. The game is coming along so nicely, but has hit a point where it needs an equally amazing soundtrack. This is really a chance for people to take part in something truly amazing. Anyone over $5 dollars gets their names in the credits and my personal email address to feed me suggestions. Review Fix: What will you do if you don’t raise the necessary funds? Gill: If I’m not able to raise the 8,000 dollars for audio I will try something else to get it done. I will probably take some time to figure out what went wrong and then see if another crowd-funding attempt is in order. I might even try saving up the business capital myself. I could even add the voice actors at a later date after the original game has shipped. Regardless of what amount I hit I will not be giving up on Luna. The indie scene really demands a person who is not afraid to fall flat on their face nine times out of ten. If you’re not failing enough you’re probably not pushing hard enough. It probably sounds slightly cliché to say this but I am making Luna for me and I plan to keep going. At the same time I won’t compromise for a sub-par soundtrack either so I might have to get creative in order to get it to that level. Review Fix: How important will the soundtrack be in the game? Gill: The soundtrack is probably the single most important thing to the game. Music has a way of reaching deep inside to connect with a certain feeling or emotion. I realize that when used correctly with art and gameplay it can make something truly great and memorable. If you look at truly great films they all do this correctly. With a story like Luna’s that tries to be dramatic it really is everything. 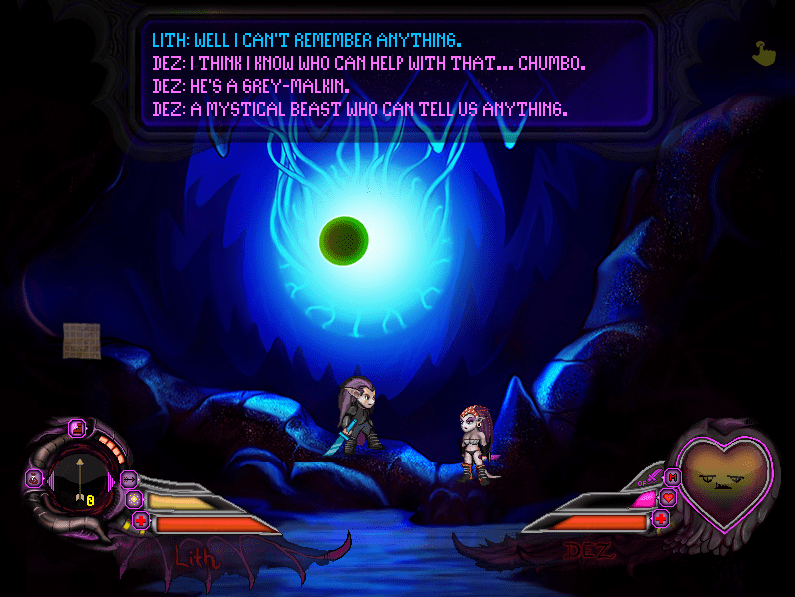 Gill: I want Luna to be that game that punched you squarely in the heart and gave you the courage to keep going. For more information, check out his Kickstarter page.